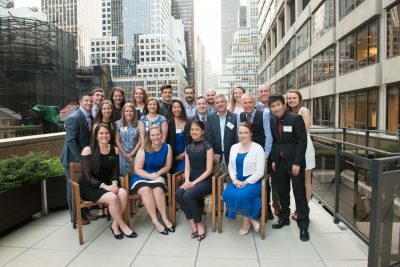 (May 14th, 2018) — The Korey Stringer Institute (KSI) is proud to honor three individuals for theiroutstanding contributions to preventing sudden death in sport through the KSI’s 2018 lifesaving awards.The awards were presented at NFL headquarters in New York City, NY during the KSI’s annualfundraising gala on May 10, 2018. 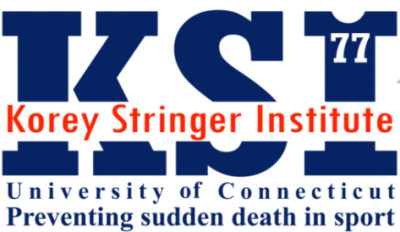 Located at the University of Connecticut, the Korey Stringer Institute is a national research and advocacy organization dedicated to maximizing performance, optimizing safety, and preventing sudden death among athletes, warfighters, and laborers. This award recognizes exceptional dedication and work in research aimed to advance knowledge regarding the prevention of sudden death in sport. membership on the NCAA Concussion Task Force (2014) and the Inter-Association Task Force on Safety in Football: Off-Season Conditioning (2012). He was co-chair of the National Athletic Trainers’Association Inter-Association Task Force on Sickle Cell Trait in Athletes (2007) and a member of the Inter-Association Task Force on Exertional Heat Illness (2003). He served as chair of the Big 12 Conference Medical Aspects of Sport Committee from 1999 to 2002. Recognitions: College/University – Athletic Trainer of the Year 2006; All-American Football Foundation, Inc – Outstanding Athletic Trainer 2005; and 2000-01 Big 12 Conference Athletic Training Staff of the Year, and Oklahoma Athletic Trainers Association Hall of Fame. This award recognizes exceptional service aimed to improve policies and advocate for the adoption of policies in order to reduce sudden death in sport. Larry Cooper has been a tireless advocate for secondary school athletic trainers. 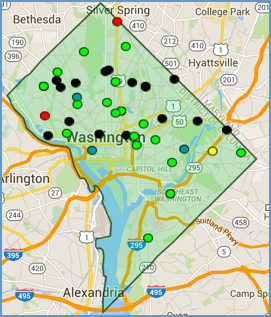 He has been involved locally, regionally, and nationally on various committees, projects, and several inter-association task forces. Recently, he served as the NATA Secondary School Athletic Trainers Committee (SSATC) Chair and also the District 2 SSATC Representative. Cooper has been a teacher and certified athletic trainer for 35 years. For the last 27 years, he has served as a sports medicine, health, and physical education instructor at Penn-Trafford High School in Harrison City, Pennsylvania. Cooper has also served as a member of the National Federation of State High School Associations (NFHS) Sports Medicine Advisory Committee. 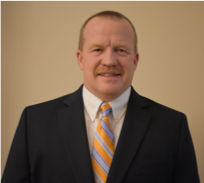 In addition, he has held numerous positions within the Pennsylvania Athletic Trainers Society (PATS) including being a member of the Board of Directors and Secondary School Committee Chair. Cooper is a founding member of the Western Pennsylvania Interscholastic Athletic Leagues (WPIAL) Sports Medicine Advisory Committee. He continues to work as a master assessor for the Pennsylvania Interscholastic Athletic Association’s (PIAA) Wrestling Weight Loss rule. 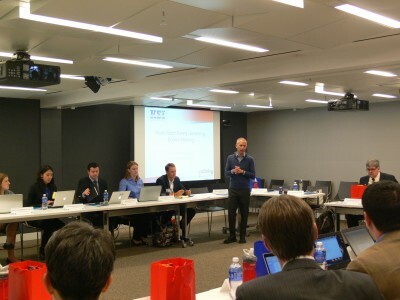 Cooper has been an active member in the KSI’s ATLAS Projectsince its inception. This collaborative effort between the NATA and KSI has led to new policies and policy changes that have increased secondary school athlete safety across the country. Cooper was inducted into the Pennsylvania Athletic Trainer Hall of Fame in 2014. He received the NATA Athletic Trainer Service Award in 2014 and the NATA Most Distinguished Athletic Trainer Award in 2016. In addition, he received the School Health/ Training and Conditioning Magazine Most Valuable Athletic Trainer Award in 2015; The Micro Bio-Medics Scholastic Athletic Trainer Award in 2003; the PATS Service Award in 2005; and the PATS Distinguished Merit Award in 2011. His favorite role has been that as loving husband to Lisa and father to their three daughters, Sara, Molly, and Delaney. This award recognizes exceptional work to advance knowledge and education in the realm of preventing sudden death in sport. Dr. Cindy Chang is a primary care sports medicine physician specializing in the prevention, diagnosis, and treatment of injuries and illnesses related to exercise and sports participation in children and adults. She serves as chair of the California Interscholastic Federation’s SportsMedicine Advisory Committee, and also served on the Sports Medicine Advisory Committee for the National Federation of State High School Associations (NFHS). She is a board member of Racing Hearts, a non-profit organization that increases awareness of and improves access to automated external defibrillators (AEDs) in communities. After co-founding the California Concussion Coalition, Dr. Chang is now co-chair of the Sports Concussion Program at UCSF Benioff Children’s Hospital. She was an elected four-year member of the Board of Directors for the American Medical Society for Sports Medicine (AMSSM), one the largest organizations of primary care sports medicine physicians in the world, and later served as its President in 2011-2012. She is also a fellow of the American College of Sports Medicine (ACSM) and is currently an elected member of its Board of Trustees. Dr. Chang has worked at the U.S. Olympic Training Center in Colorado Springs and was part of the USA medical team for the Winter Paralympic Games in Nagano, Japan, in 1998 and in Salt Lake City in 2002. She served as Chief Medical Officer for the USA delegation at the 2007 Parapan American Games in Rio de Janeiro, the 2008 Summer Paralympic Games in Beijing, and the 2012 Olympic Games in London. She was the 2003 recipient of the AMSSM Founders Award, given to a sports medicine physician who demonstrates outstanding professional achievement and service to the community. She was also selected to receive the 2013 Dr. Ernst Jokl Sports Medicine Award, given annually to an individual for his/her contributions to the growth and development of sport medicine through practice and/or scholarly activity. In 2016, Dr. Chang was honored with the National Athletic Trainers’Association Jack Weakley Award of Distinction, for a lifetime of outstanding contributions that directly impact health care in the area of athletics, athletic training, or sports medicine and are of major and lasting importance. Dr. Chang is currently a Clinical Professor at the University of California San Francisco in the Departments of Orthopaedics and Family & Community Medicine. She continues at Cal as a team physician and sports medicine consultant, and volunteers as the team physician at Berkeley High School. She is very invested in supporting her athletic trainer colleagues and advocating for their licensure inCalifornia. Chang is medical director of Emergency Education Services at UCSF Benioff Children’sHospital, and has become credentialed to train others including athletic trainers to become certified instructors in First Aid and CPR/AED. She frequently speaks to community groups, schools, club teams, and the media on a wide range of topics affecting the health and safety of our young athletes. NEW JERSEY– Many states across the country are not fully implementing important safety guidelines intended to protect student athletes from potentially life-threatening conditions. Research has shown that nearly 90 percent of all sudden death in sports is caused by four conditions: sudden cardiac arrest, traumatic head injury, exertional heat stroke, and exertional sickling. Adopting evidence-based safety measures significantly reduces these risks. With more than 7.8 million high school students participating in sanctioned sports each year, it is vital that individual states begin taking proper steps to ensure their high school athletes are protected. The call for action came this past fall when the University of Connecticut’s Korey Stringer Institute (KSI), a national sports safety research and advocacy organization, released a comprehensive state-by-state assessment of high school sports health and safety policies. New Jersey currently ranks 4thnationally in terms of meeting all of the recommended safety guidelines with a score of 67%. In response to the findings, New Jersey officials are collaborating with the KSI in addressing existing gaps in state policy to improve high school athlete safety. New Jersey is the first state to join the KSI’s national “Raise Your Rank” campaign, which started in 2018. The campaign aims to raise funds to support meetings with state representatives in order to improve mandated best practice policies and increase implementation of those policies. This is not the first time New Jersey has led the way in improving the health and safety of high school athletes. New Jersey was the first state to implement heat acclimatization policies for high school athletes in 2011. Acclimatization policies require teams to allow athletes to adjust to hot conditions in late summer by phasing in practices, participating without heavy equipment, and requiring frequent breaks to allow athletes to recover and stay hydrated. Since 2011, six states have implemented similar heat acclimatization policies with positive results; there have been no reports of exertional heat stroke deaths in states where acclimatization policies are in place and properly followed. For more information about the Raise Your Rank campaign, including how to apply for KSI support and how to donate to the cause, please visit ksi.uconn.edu. 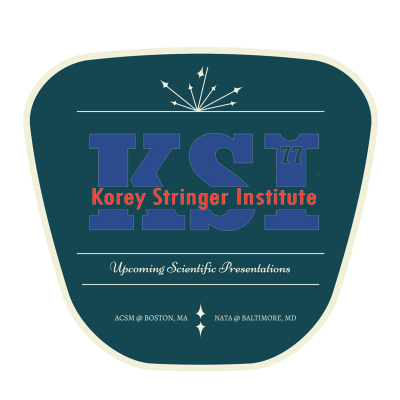 In collaboration with the National Athletic Trainers’ Association (NATA), the Korey Stringer Institute (KSI) is conducting a study assessing perceptions of medical care provided at the secondary school level from various key stakeholder groups. These stakeholders are in a position to influence the level of medical care provided to secondary school athletes and include athletic directors, principals, superintendents, parents, coaches, and legislators. As part of this initiative, participants are asked if they would like to take part in a focus group session. The purpose of the focus group, similar to a group discussion, is to gain a more in depth understanding of the participants’ perceptions, and allow them to interact with each other through open dialogue in a non-threatening environment. 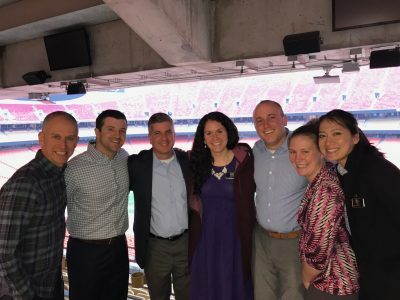 As the study kicks off, the KSI staff couldn’t think of a better place to hold our first focus group than in Nashville, TN! The National Interscholastic Athletic Administrators Association (NIAAA) was holding their National Athletic Director Conference at the Gaylord Opryland Resort and Convention Center in Nashville from December 9th to the 13th. With a meeting made possible by the NATA, we recruited athletic directors for a focus group in support of this research initiative. On December 9th, Christy Eason, a University of Connecticut alum and now Assistant Professor of Athletic Training at Lasell College, and myself, conducted our very first focus group. The meeting was a success and resulted in rich dialogue between athletic directors with diverse backgrounds on various health and safety standards. Dr. Douglas Casa, CEO of KSI, and Dr. Rebecca Stearns, COO of KSI, also made the trip to Nashville and were instrumental in ensuring the success of this meeting. After the focus group session, Rachael Oates, Assistant Executive Director of the NATA, and Amanda Muscatell, NATA External Marketing Manager, spoke about the history of the NATA and its growth over the years, as well as their major marketing initiative, AT Your Own Risk. To finish off the meeting, Dr. Casa presented on best practice standards for preventing sudden death in sport, focusing in on the top safety standards that athletic directors in Tennessee should have in place. 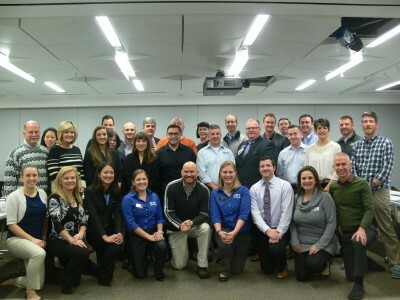 This meeting not only provided great insight on athletic directors’ perceptions, but also provided an opportunity to network with a unique group of people. This was only the start, but being a part of this meeting has opened my eyes to the true potential of this research initiative. I am extremely excited to see where it goes from here. There are countless new and innovative ideas that we have at KSI every day, but every once in a while there is that truly life changing idea. Even as daunting as that idea may seem, there is something deep within your gut, I mean really deep down, that you know can make and impact and is worth doing. The ATLAS Project was one of those ideas for us here at KSI and in true KSI fashion this idea would not be possible without the collaboration of the NATA Secondary School Committee and the members of the NATA. 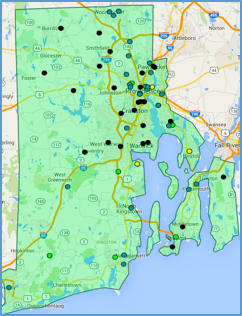 Since its official launch in January, over 4,500 surveys have been taken by Secondary School Athletic Trainers all across the country. 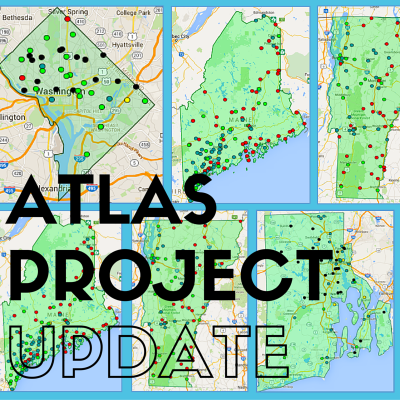 The Eastern Athletic Trainers’ Association has the largest percentage of high school athletic trainers who have taken the ATLAS Survey closely followed by Mid-America Mid-Atlantic and Southwest Athletic Training Associations as depicted below. In terms of raw number of surveys California leads with 220 surveys taken and Pennsylvania is in close second with 203 surveys. However, if we look at percentage of surveys taken, District of Columbia, New Mexico, and Utah are in the lead with 80%, 71%, and 55% respectively. 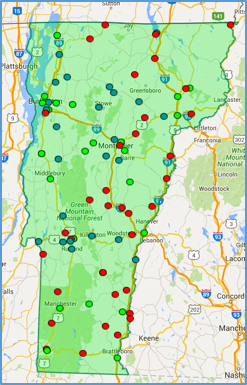 Currently KSI uses Zeemapsä by Zeesource to map each states’ Athletic Training services and we are proud to say that Vermont and Maine were the first two states to be 100% mapped. 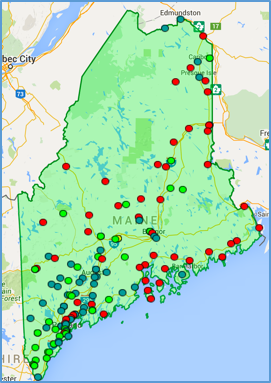 Delaware, District of Columbia, Rhode Island and Wyoming are all within 40 schools of being 100% mapped and additional efforts in those states by KSI and their athletic training associations are being made as we speak. 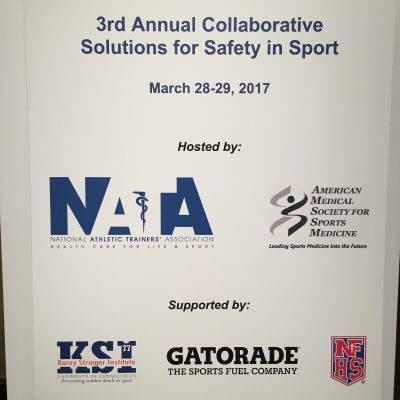 Recently Robert Huggins PhD, LAT, ATC and Larry Cooper, NATA Secondary School Committee Chair, presented the ATLAS project data at the Collaborative Solutions For Safety In Sport Meeting held at the NCAA headquarters in Indianapolis and will also be discussing this with Athletic Trainers at the NATA Symposium next week in Baltimore where they hope the project will continue to gain more momentum so be sure to stop by booth #2057 at the NATA Expo to map your high school! Come visit and engage with the KSI staff members at the upcoming annual NATA and ACSM Conferences. Find out which members are presenting, where and about what can you expect to learn from each presentation below. 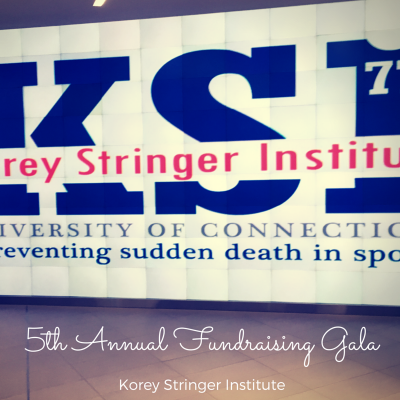 The 5th Annual Korey Stringer Institute Gala and Fundraiser was held this past Thursday evening, May 5th, at the NFL Headquarters. Every year we are in awe of the immense support received from colleagues, friends, and family, and this year’s Gala was no exception. The night started by greeting guests and catching up with those who traveled near and far to attend the event, but this was not just a night for socializing. After welcoming remarks from Jeff Miller, Senior Vice President of Health and Safety Policy for the NFL, guests got to hear from James Gould, Chairman of the advisory board for the Korey Stringer Institute, Jeff Seemann, Vice President for Research at the University of Connecticut, and Kelci Stringer, Founder and Spokesperson of KSI. All emphasized the impact that KSI has had on spreading knowledge and advocacy to prevent sudden death in athletes, soldiers, and laborers both locally and nationally. We are able to achieve this mission through the immense support of passionate, motivated people, especially our corporate partners, many of whom were in attendance. It was an exciting night for the KSI staff, as two announcements were made that will undoubtedly maximize the potential for research opportunities and more. 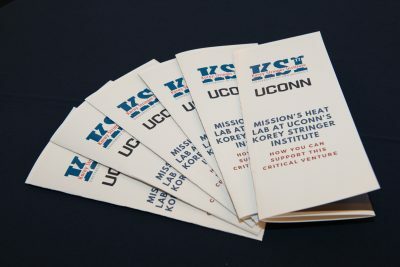 Josh Shaw, Founder and CEO of Mission Athletecare, proudly announced the building of a state of the art heat chamber and performance lab on UConn’s campus. To add to the exciting news, Scott Sailor, President of the National Athletic Trainers’ Association (NATA), announced an established partnership between the NATA and KSI, which will result in collaborative research efforts and opportunities. This was also a night of recognition. 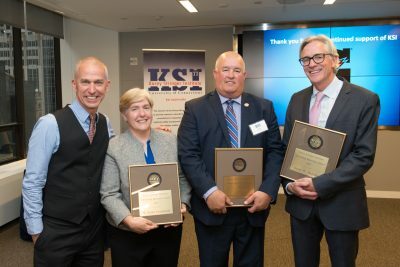 Every year, KSI acknowledges three leaders in the realms of research, service, and education who have had a significant impact on health and safety for athletes and the physically active. The 2016 KSI Lifesaving Research Award was awarded to Frederick Mueller, former Director of the National Center for Catastrophic Sports Injury Research. Through his research, he reduced the number of football fatalities and catastrophic injuries in high school and college sports. Rachael Oats, Associate Executive Director of the NATA, received the 2016 KSI Lifesaving Service Award. In addition to being a key advocate for KSI, Rachael has been involved in a vast number of projects and meetings, served on countless committees, and has volunteered hours of her time to advance health and safety initiatives and promote the prevention of sudden death in sport and physical activity. The final award, KSI Lifesaving Education Award, was presented to Lawrence Armstrong, distinguished professor in the Department of Kinesiology at UConn and President of the American College of Sports Medicine. Dr. Armstrong has dedicated years to teaching and research, primarily focused on the effects of dehydration on cognitive functioning and exercise performance, as well as factors impacting thermoregulation and physiological strain. It was another unforgettable night spent with colleagues, friends, and family who all share and support the same passion for preventing sudden death in the physically active. To those who traveled to attend, some traveling across the country to show support, we cannot thank you enough. It is your continued encouragement, advocacy and support that allow KSI to grow, thrive and save lives. Jack Ransone, Phd, ATC – USA Track and Field. We also had the honor of having key representatives from the American Medical Society of Sports Medicine (Matthew Gammons, MD), National Athletic Trainers Association (Scott Sailor EdD, ATC, Tim Weston Med, ATC, AJ Duffy MS, ATC, PT, Rachael Oats CAE, Katie Scott, MS, ATC), American Academy of Pediatrics (Cynthia LaBella, MD) and Safe Kids Worldwide (Kate Carr, Ali Flury). 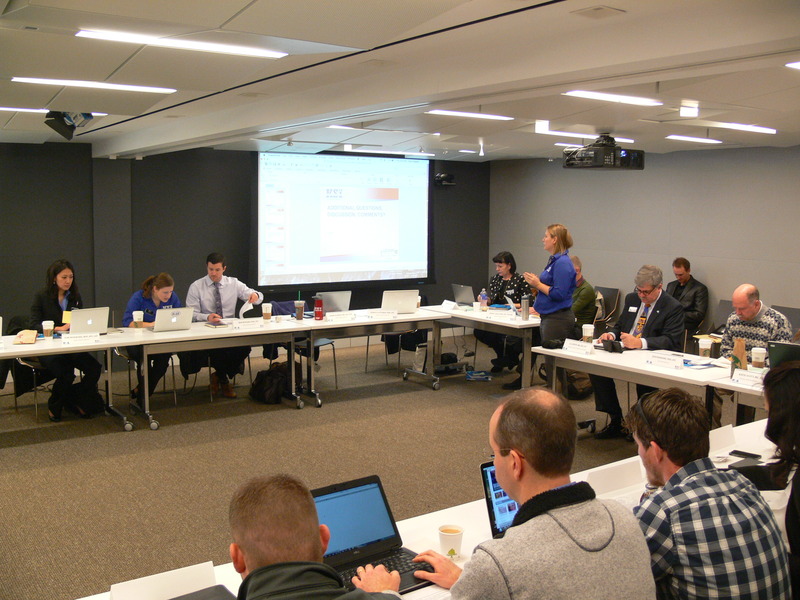 The meeting was moderated by some of the KSI staff (including Robert Huggins, PhD, ATC, Doug Casa, PhD, ATC, Rebecca Stearns, PhD, ATC, Samm Scarneo, MS, ATC, Yuri Hosokawa, MAT, ATC, Lesley Vandermark, MS, ATC, Luke Belval, BS, ATC, and Ryan Curtis, MS, ATC) and was largely discussion based to create a best practice consensus. The first day of the meeting focused on cardiac conditions, emergency action plans, and exertional heat stroke. 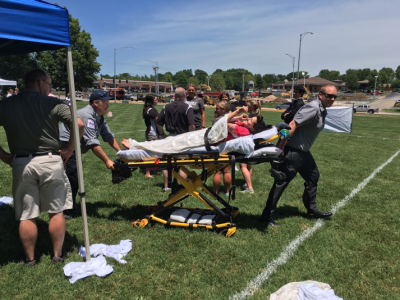 The second day was moderated identical to the first and focused on head injuries, medical personnel and other conditions (asthma, anaphylaxis, and lightning). One of the unique aspects of this meeting is that all of the governing bodies have strong and weak points in different areas. 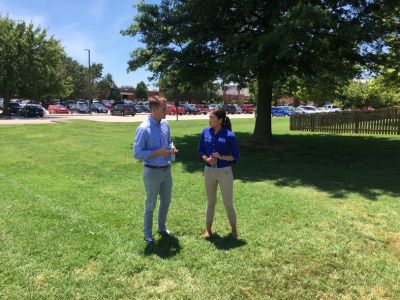 For example, one organization may have extraordinary policies in place for heat acclimatization yet may be very weak in an area of emergency action plans. However, despite the various levels of safety attained by each organization, all attendees had a strong will to improve standards across the board. Dr. Huggins called this meeting “one of the most important meetings that he has been to in his career.” We are hopeful that consensus document will provide a template for all leaders of youth organizations, and their members, to expand health and safety standards for the athletes.